What do you think about the state of today's Church? Straight Talk about the Seeker Church Movement with Dr. John MacArthur. once Heresy is allowed into a church, and is not confronted by a discerning congregation or leadership, that church is destined to lose it's witness to the community, and eventually die. 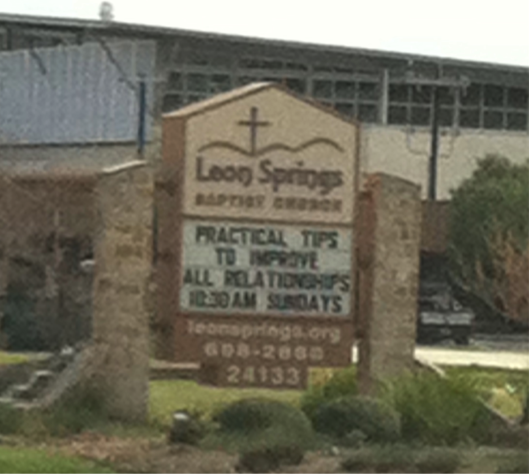 "Practical Tips to Improve All Relationships." This is pure "Seeker Sensitive" nonsense. "Practical Tips?" "All Relationships?" That could be construed to mean almost anyone, non-Christian included; maybe living in sin. What about an individual's "relationship" to Christ? What about Preaching and Teaching the Word of God? 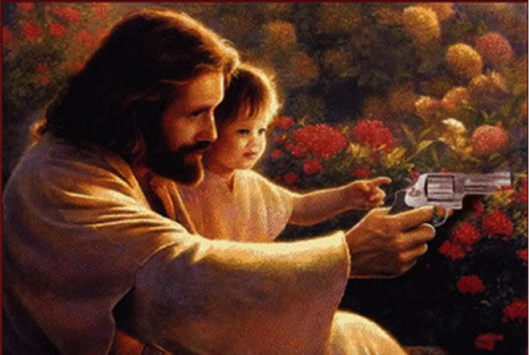 NPR news report on Kentucky SBC drawing crowds with Gun giveaways. AN ANALYSIS OF RICK WARREN'S "PURPOSE DRIVEN"
Heresy enters a church congregation when there is no discernment; and people refuse to judge false teaching. Even someone like Benny Hinn, got it right about the heresy of "Seeker Sensitive" Churches; here calling out the heresy of Joel Osteen, who waffled on the Larry King program. (I do not endorse Benny Hinn's heretical theology; however, here he got it right about the problematic "Seeker Sensitive" Churches, and those pastors who preach anything other than the true Gospel). CLOTHING MATTERS: WHAT WE WEAR TO CHURCH (WHY WHAT WE PUT ON MAY BE MORE IMPORTANT THAN WE THINK) by Dr. Duane Litfin, former President of Wheaton College, where Billy Graham attended. Can we serve Church "Cafeteria Style?" A sermon by Robert I. Deffinbaugh, graduate of Dallas Theological Seminary, Th.M. , 1971; Pastor of Community Bible Chapel, Richardson, Texas. 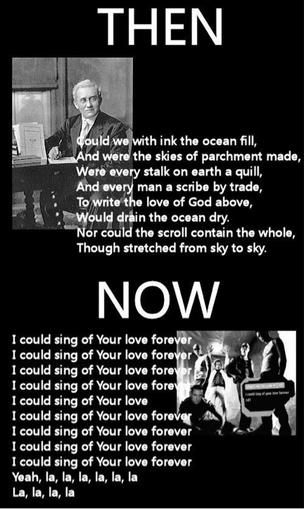 These mind-numbing "ditties" often contain lyrics not suitable for church, or anywhere for that matter. 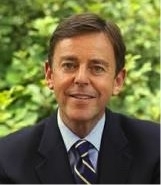 In this excerpt from his message at the Ligoner Ministries 2009 West Coast Conference, Alistair Begg reminds us of the importance of knowledge in worship. "The Whole Earth is Full of His Glory: The Recovery of Authentic Worship"
"Learning How to Worship: An Introduction"
Can the Church borrow the marketing tools of the world and apply them to the Church? 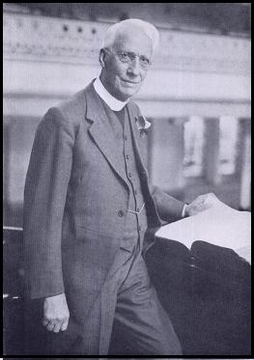 What is the history of the Church Growth, Purpose Driven movement and its false premises? “The Church of Tares” answers those questions. Rick Warren invites Woman "Pastor"
Rick Warren speaks at the Islamic Society of North America 46th annual convention in Washington, D.C.
"Prove all things; hold fast to that which is good. Abstain from all appearance of evil"
Who knew that Rick Warren and Yusuf Islam (Cat Stevens) were this close? "ISLAM CAN BE A VIOLENT FAITH" says Chaplain to Queen Elizabeth II. 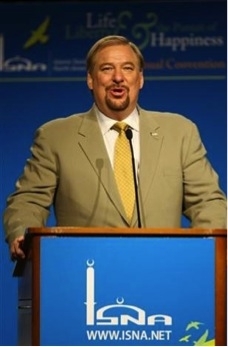 So, why is Rick Warren associating with Muslims and writing 'statements of understanding'? And a more pressing question is, "Why are Southern Baptist pastors paying any attention to Rick Warren?" "ISLAM IS A VIOLENT FAITH" says Muslim academic reformer. DO NOT believe the same things! They DO NOT worship the same God! Rick Warren is wrong in trying to unite the Christian community with Muslims. 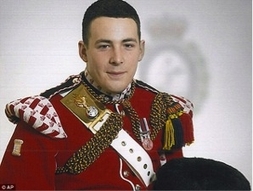 Case in point: The murder of Royal Fusilier Lee Rigby by Muslims part of a "Muslim Patrol" of vigilantes trying to enforce "Sharia Law" in east London; their glorification of the murder; their courtroom outburst; clearly illustrates that Muslims hate Christians. Islamic Militants have been caught in England, attempting to "radicalize" local school children from Christian backgrounds. 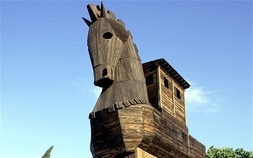 They have been operating a "Trojan Horse" operation, calling themselves, "Educational Activists"with the intent of pursuing an "Islamising" agenda. Several pdf files below and the video explain what has been going on. 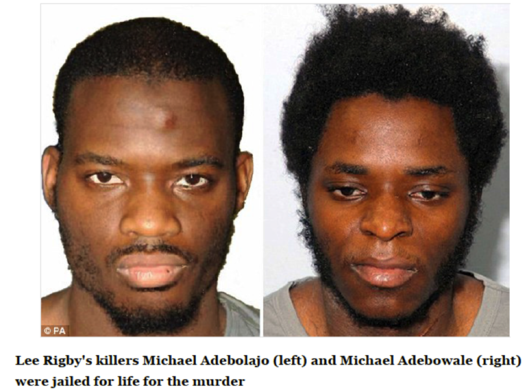 (Sources: The Daily Mail, The Telegraph, The Daily Mirror newspapers). Christians and Muslims, despite what Rick Warren says, DO NOT believe the same thing! Nor should they be cooperating with one another in a church setting, as he has proposed, trying to find a way they can cooperate! Member of Parliament and Shadow Secretary of State for Education in Great Britain, Tristram Hunt said: "Islamic Extremism is a poisonous and cancerous ideology." British Shadow education secretary Tristram Hunt says families are not doing enough to educate children about Islamic extremism. It was reported in the press, July 2014, that Muslim militants, seen in this picture, have destroyed a tomb, which is one of two sites generally recognized as that of Jonah, one of the Minor Prophets, in the Bible. (See the book of Jonah in the Old Testament). The Jews believe that Jonah was buried in Hebron. The Muslims believe he is buried in Mosul, Iraq. In any case, it is wanton destruction of a site in the old Near East, in Old Testament lands of the Bible. I invite your consideration of the video which follows, depicting the desecration of Soldiers' war graves by Muslim extremists. Rick Warren needs to seriously reconsider his rapproachement between himself and the Muslim community. A furious mob has desecrated dozens of Commonwealth War Graves in a Libyan cemetery. One man seen on the video, can be heard saying: "This is a grave of a Christian" as he uprooted a stone headstone from the ground. Another voice in the footage says of the people buried in the cemetery: "These are dogs." The attacks happened in the eastern city of Benghazi, near where British and Commonwealth troops fought heavy battles against German and Italian forces during the 1939-45 war. The BBC reported that the attacks took place at the British Military Cemetery and the War Graves Cemetery. Britain's Mail on Sunday newsapaper, which reported the attacks on its front page on Sunday, said many of the graves cemetery belong to members of Britain's 7th Armoured Division, known as the Desert Rats, who played a crucial role in the battle for control of Libya and Egypt between 1941 and 1943. It said the Commonwealth graves there included servicemen from Australia, New Zealand, South Africa and India. The footage posted on Facebook showed about two dozen men in a cemetery in daylight. Several carried Kalashnikov automatic rifles and were wearing the mismatched camouflage uniforms commonly seen on militia members. At one point, a voice on the recording says: "Come and see the incription on this ... There is Hebrew writing on it." About 200 graves and a cross were damaged at the Benghazi British Military Cemetery in Libya in March 2012. As they rampage among the graves, Muslims repeatedly say of the dead servicemen: they are dogs, they are dogs. The Benghazi War Cemetery was also damaged. More than 150 graves... were smashed or desecrated last year by a mob of Islamist extremists who invaded the Commonwealth war cemetery in Benghazi. Months later, the cemetery was attacked again, wreaking further destruction to the graves and memorial crosses... Nobody has been brought to justice for the destruction of the war graves... Radical Islamists have attacked Coptic and Orthodox churches, assaulted priests, fired grenades at Red Cross offices that were accused of proselytizing and destroyed dozens of shrines of the Sufi sect of Islam. Under the influence of the same ideology, Libyan military authorities arrested more than 50 Egyptian Copts and other foreign Christians in Benghazi on suspicion of proselytizing or distributing Christian pamphlets. This year alone, a Coptic church in Misrata was bombed, killing two Egyptian Christians, and a Coptic church in Benghazi was torched, nearly killing its priest. This desecration is notable only because it was filmed. Muslims desecrated Istanbul's Christian cemeteries many times in the past 20 years. In September 2009, 90 tombstones were broken near ancient Valukli Monastery. In September 1955 Christian churches, cemeteries, and properties owned by Istanbul's Greek Orthodox community were desecrated and destroyed in a pogrom. In mid-December of 2005, roughly 200 Muslim Azerbaijani soldiers were caught on videotape using sledgehammers to demolish medieval Armenian Christian cemetery in the Djulfa region of Nakhichevan. This was a sacred site of the Armenian Church. The cemetery dated back to the 7th century and was once home to as many as 10,000 intricately carved stone-crosses. This attack, which followed previous demolitions in 1998 and 2002, completely destroyed this cemetery. In May 2011 Muslims destroyed and desecrated a Christian graveyard in Chak Jhumra, Faisalabad, Pakistan, using a tractor to plough over a number of tombs. Buried coffins were broken and the bones of the dead were brought to the surface. The local police refused to open an inquiry. Muslims threatened local Christians who attempted to file a lawsuit. Palestinian Muslims desecrated 70 Christian graves in two Christian cemeteries in the West Bank village of Jiffna near Ramallah in May 2009. Desecration of Christian cemeteries is a small part of Muslim intimidation and violence against Christian and Jewish minorities. There are hundreds of Muslim no-go zones in Europe. If the present trends continue, Muslims will become the majority of European population in about 50 years. European Jews are attacked with great regularity and they already flee Europe. (This video has been vetted by the "Snopes" website). For the life of me, I cannot understand why Rick Warren would want to sign a document, referenced in details on this website, that would say that there is any common ground between Islam and Christianity; that there is any way Christians should cooperate with Muslims. I also cannot understand why any Southern Baptist pastor would not question this relationship Rick Warren is trying to build, between Muslims and Christians; and continue to support Warren's "Purpose Driven" agenda! Robert Morris was invited to preach at Rick Warren's Saddleback Church in September 2011. 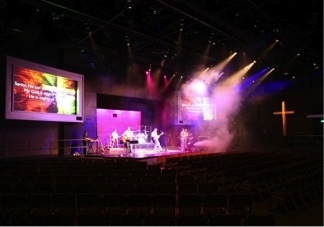 Note: Saddleback Church is a Southern Baptist Church. What did Robert preach? He preached the same sermon he preached at Perry Noble's church, telling people that the key to financial prosperity is to tithe the FIRST 10% of your income to have the "curse" removed from your finances. In this video, Robert even says it is a "good deal", to pay only 10% of your income to then have God to protect and prosper you. This is a heresy, and yet Rick Warren purposely exposes his congregation to this nonsense. Rick Warren's best selling book "The Purpose Driven Life" presents the gospel such an inadequate way that it will only lead to false conversions and apostasy. Todd Friel and John Macarthur explain what's up with The Purpose Driven Life. 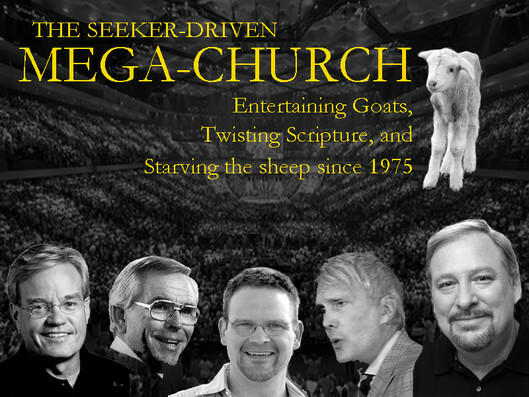 "The Morass of Seeker Sensitive"
The "Machine" behind Rick Warren: run by Dan Southerland. Change your Approach - from "Program Driven" (read: traditional), to "Purpose Driven". Change your Pastors - From a senior pastor model to multiple pastors. (not wrong in and of itself, but they're using this to make up a new "board" of directors). (Like adding a non-seminary trained "Worship Leader" to the staff). Change your Ministry - From staff doing all the ministry to lay ministers doing the ministry. (again, it's not bad in and of itself to use lay-pastors, but they use it to increase indoctrination and "group-think"). Change your Strategy - From no plan to a "Life-cycle process" that is "driven by small groups" (see more on this below). 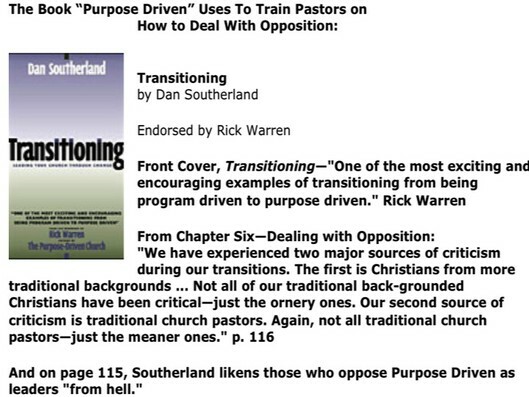 Pastors are taught that objectors are "Sanballats" whom Southerland calls "leaders from hell". He goes on to write "You cannot call this guy a leader from hell to his face, but you can call him a Sanballat". (pg. 115). Be Willing To Let People Leave the Church: Southerland teaches that the traditional members who are pillars of the church can just hold you back from the changes, and fight your methods. He and Rick Warren are proud of the numbers they've chased off. "When you set the vision and stay the course, you determine who leaves" (pg 127). (They don't care that their new "church" is a mile wide and an inch deep spiritually. It's only the numbers and the money that count in the long run, no matter how much they try to trumpet their desire to "reach the un-churched"). In the following 2 short videos, Dr. R.C. Sproul, Dr. Ravi Zacharias, and Dr. Albert Mohler (President of Southern Baptist Theological Seminary in Louisville, Kentucky) explain the "Seeker Sensitive," "Purpose Driven," and "Emergent church" philosophy, behind the "contemporary" worship movement, that has gradually taken root, across the country in Baptist churches and other denominations. RC Sproul masterfully gets to the core of the seeker movement by asserting it’s fundamental errors: (1) that unbelievers are “seeking” God, and (2) that the purpose of weekly worship is to reach the lost. That last statement probably made you stop cold in your tracks. Let’s face it, the job of every believer is to share the Gospel of Jesus Christ – the Good News that if you acknowledge your sinful state, repent of your sins and accept Christ as your Savior, then you would gain eternal salvation and relationship with the Father. It’s our daily job, evidenced by our daily lives. But because we don’t live the Gospel message, we assume that if we hit “sinners” over the head with a bat and drag them into church on Sunday, then the Gospel will “get into them” through osmosis and they would be changed! So, the church and worship service becomes a marketing event that uses worldly tools (car raffles, coffee shops, provocative sermons, etc.) to attract new clients worshippers. If you want a power in your Church, be an expository preacher; preach the Word because that’s where the Spirit is. Isn’t that God’s strategy? If we believe God’s strategy, we’re going to preach the Word. The following discussion from “The White Horse Inn” Christian roundtable, deals with the subject of the modern-day church using marketing schemes to influence society rather than faithfully preaching the Gospel of Jesus Christ. The speakers are Michael Horton, Ken Jones, Scott Clark, and Rod Rosenbladt. Many pastors are following Rick Warren's advice on his website: Pastors.com. Are You Considering the Rick Warren & Bill Hybels Model for Your Church? How do you know if your church is going "Purpose Driven?" "Is your Church Going "Purpose Driven?" Does the modern church need Big Macs to bring more worshippers into the fold? At least one religious group believes so. TV Report on "The McMass Project"
Rev. 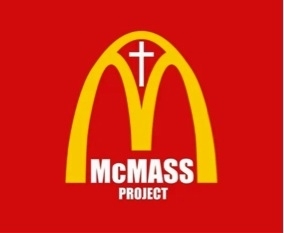 Chris Rosebrough investigates "The McMac Project"
These videos are part of a four part series on the damning indictment of the market-driven churches that are so popular today. This first video is an introduction to the church in the "age of entertainment". Dr. Gilley contends that the church has sold out to our culture so that the influences of the culture have become the influences in the church. The most significant forces pressing against the church are entertainment, market driven philosophies and psychology. These three are largely absent from the Bible, yet are startlingly prevalent in evangelical churches. The leaders and issues he concentrates on most are Rick Warren and his book The Purpose Driven Church, Bill Hybels and Lee Strobel. In the third and fourth parts of this series, Dr. Gilley will explain what the Emerging Church is and how it is dangerous to the Evangelical community. (in public domain). "Programs, Programs, Get Your Programs"
by pastors, to justify the inclusion of this type false worship. "The Ecstatic Emotionalism of Contemporary Worship"
"Leading Worship: Who and How"
The Charismatic Movement is primarily the reason the church is in the mess its in today. In virtually every area that church life is unbiblical, you can attribute it to the charismatic movement. Bad theology, superficial worship, unbiblical raising of hands, ego, prosperity gospel, personality elevation...all of that comes out of the charismatic movement. "When the standard of music is lowered, then the standard of dress is also lowered. When the standard of dress is lowered, then the standard of conduct is also lowered. When the standard of conduct is lowered, then the sense of value in God's truth is lowered." -Gordon Sears, Christian Musician who worked with Rev. Charles E. Fuller's "Old-Fashioned Revival Hour" radio broadcast ministry. Ex-Worship Leader, Dan Lucarini: "Why I Left the CCM (Contemporary Church Music) Movement"
The problems created by "Contemporary Worship" is widespread. Rev. David Marshall, Pastor of Trinity Reformed Baptist Church in New Zealand, tells about it, in his native country. "The Contemporary Worship Packaging is about Replacement"
"Why I've Stopped Singing in Your Church"
"WHY ARE SO MANY CHURCHES FOLLOWING THE PURPOSE-DRIVEN SEEKER-SENSITIVE MOVEMENT?" Purpose Driven Fads: "The Flaws of a Fad Driven Church" by Phil Johnson, Grace to You, Copyright 2008, All rights reserved, Used with permission. Is Your Church going "Purpose Driven?" How can you tell? What does the term "Missional Church" mean? “Missional” = a vague, trendy word describing something having to do with spreading the Gospel all the time, but with modern, culture-savvy undertones and apparently containing content, which the SBC, the most historically evangelistic and missions-driven denomination in the history of western Protestantism, still needs to be taught by young, hip guys who (with respect) have had to sacrifice little for the Gospel. Also no hint of this kind of trendy language in the writings of William Carey, Billy Graham, and other giants of world missions and evangelism since the Reformation. It is an off-shoot of the "Purpose Driven" and "Seeker Sensitive" off-brand movements. The Adulation of Man in the "Purpose Driven Life"
Degrading the Gospel to a formulated, whispered prayer to find ones true self is part of what one discovers in Rick Warren's, "The Purpose-Driven Life" movement. 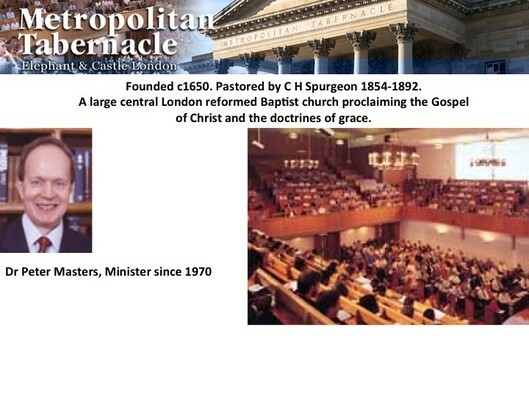 Addressing a large group of pastors and Christian leaders at the Metropolitan Tabernacle in London, Richard Bennett spoke with deep concern. He exposed the widespread movement that is afflicting thousands upon thousands of souls around the world. Not only does Richard document Warren's empire of deceit using Warren's own words, but also with precision and the light of Scripture he gives the true Gospel of the Lord Jesus Christ. it also involves: "The Emergent Church," "Seeker Sensitive Service," "Purpose Driven," and "Missional Church" movement philosophies. 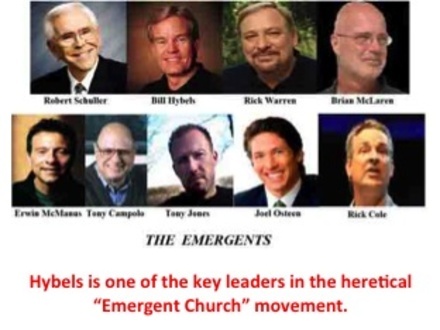 The pseudo-theological methodology "Emergent Church" model, with an emphasis on being "Seeker Sensitive," was explored in a recent article written by Bob Allen, managing editor of "Associated Baptist Press News" (which is planning to merge with "The Religious Herald.") 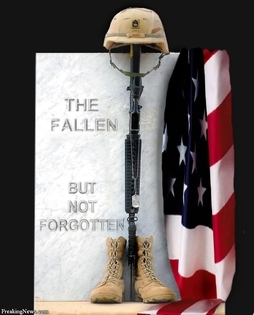 The article appeared in the April 29, 2013 issue of "The Religious Herald," the Virginia Baptist State newspaper. The article, titled, "Author proposes to end Interfaith Hostility," was an open endorsement of Brian McLaren's latest book, and his role in the "Emergent Church" movement. Brian McLaren's theology is suspect, as explained below in the video titled, "Post Modernism and the Emergent Church." His liberal viewpoint is the new branding of the old "Seeker Sensitive" movement of the 1990's, and it needs to be seen for what it is: heresy, plain and simple. Every chapter of his books dies the death of a thousand qualifications. It appeals, though, to people in the church because they don't want to deal with doctrine. It's kind of like a man I had dinner with recently, who stated, "Well, we all believe the same thing don't we?" No, we don't. Dr. Al Mohler, President of Southern Baptist Theological Seminary, told about a recent interview that appeared in "Time" magazine, in which Brian McLaren stated, when asked about his position on homosexuality, said, "I'm reluctant to answer, because whatever I say, will offend someone." That was his answer! 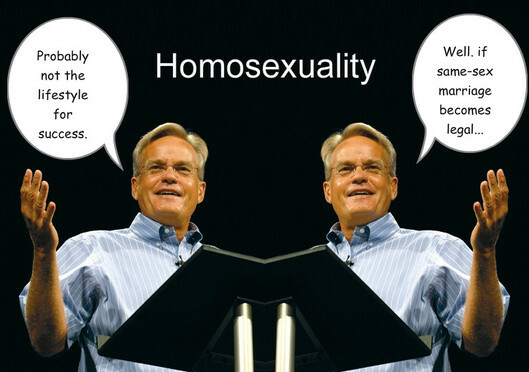 On a blog sponsored by "Christianity Today," McLaren suggested "we take a 5 year moratorium on talking about homosexuality, and come back in 5 years, and see if we still believe what we believe." That's the essence of "Post-Modernism." This is the abdication of Christian responsibility! It is an abdication of Christian conviction, and it is a cave-in of Christian courage. We do have an answer, and it's not like we don't know what it is! In the following 3 short videos, Dr. R.C. Sproul, Dr. Ravi Zacharias, and Dr. Albert Mohler (President of Southern Baptist Theological Seminary in Louisville, Kentucky) explain the "seeker sensitive/purpose driven" and "emergent church" philosophy, behind the "contemporary" worship movement that has gradually taken root in in many Baptist Churches. 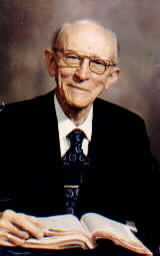 Then, in another video, Southern Baptist preacher, Dr. Vance Havner, speaks to the three temptations facing today's church. Listen carefully, as they explain why it happened, where this bogus theology came from, what worship really is ("contemporary" music is just part of the problem). when recreation gets ahead of re-creation, then God’s house has become a den of thieves." Rev. 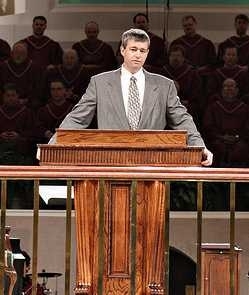 Paul Washer explains why in the video below. He is the Founder/Director & Missions Coordinator of HeartCry Missionary Society which supports indigenous missionary work. He is also a Southern Baptist itinerant preacher. He is a graduate with an M.Div. degree from Southwestern Baptist Theological Seminary. 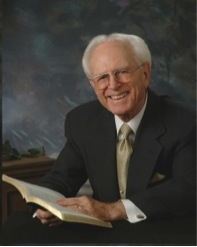 He served Southern Baptists on the overseas mission field for 10 years. Emotionalism in a worship service, with "Contemporary Music," is not the method the Holy Spirit uses to work in the lives of the unsaved individual. 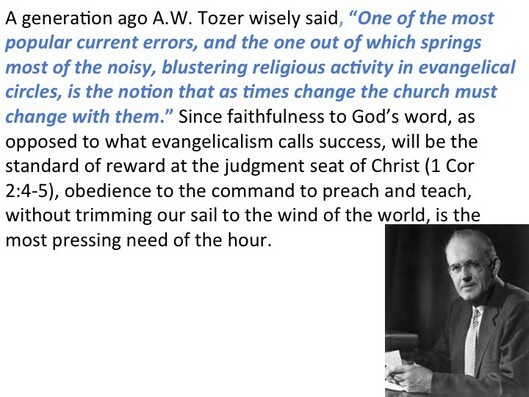 Dr. J.P. Allen, former Pastor of Broadway Baptist Church, Fort Worth, Texas, in a message (below) recorded at Ridgecrest Baptist Conference Center, in 1968, explains why. What is the tenure of a Church Organist? God gave Ilene Robertson a gift, and she’s given it back Sunday after Sunday for 70 years at First Baptist Church in Paducah, Texas. Robertson, now 95, has been the church’s organist since the day the organ arrived in 1955, and before that, she was the pianist. (From the July 13, 2009, issue of the Baptist Standard). 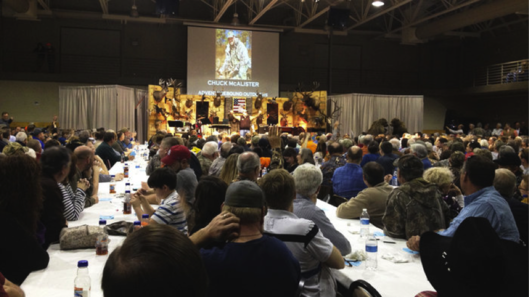 When will Southern Baptists wake up to the devastating results of giving men unlimited, unaccounted-for personal power? Baptist ecclesiology is vanishing away right before our eyes. HOW SHALL WE THEN WORSHIP? 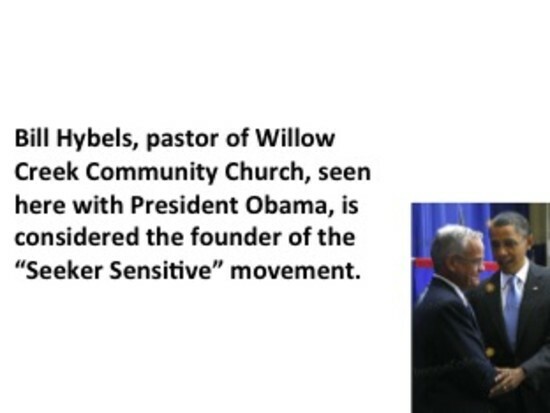 What is a Seeker Sensitive Church? What are the doctrinal compromises in the Church? 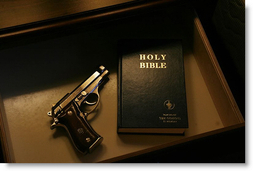 What does the Bible say about false doctrine? Church-growth’s modern passion for “relevance” will become its road to irrelevance. Its modern passion for “felt needs” will turn the church into an echo chamber of fashionable needs that drown out the One voice that addresses real human need below all felt needs.